So you've read my blog post on Preparing Your Home to Sell and now you are ready to take the next step. That next step being how to price your home for sale. The pricing strategy you take could ensure you a quick home sale or result in your home sitting on the market longer than needed. A home that sits for too long due to picking the wrong price means you missed out on the peak time for buyer foot traffic. Ignore that peak season and you may end up having to cut your price much faster and in a greater amount in order to get your house sold after it has been on the market for more than 4-5 months. 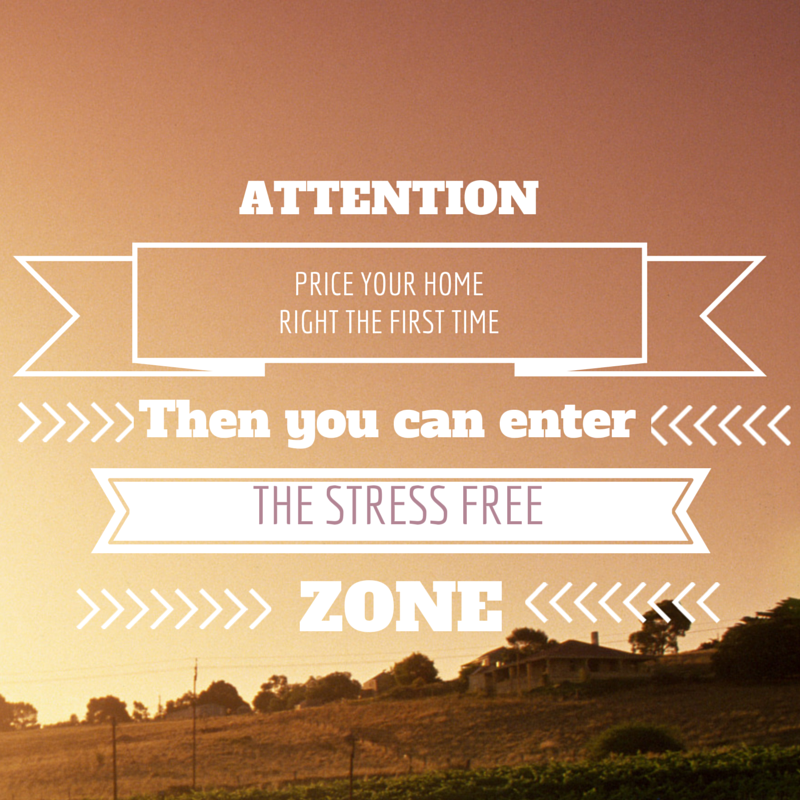 To not go down that slow sale road follow these tips and your journey on this path may be less stressful. One of the wrong ways to figure out a price on your home is using a website like Zillow and their Zestimates. For those of you who don't know, Zillow uses fancy algorithims to determine the price of your home. Per Wikipedia an algorithm is "...a self-contained step-by-step set of operations to be performed. Algorithms exist that perform calculation, data processing, and automated reasoning." While Zillow may use a fancy algorithm it is far from being accurate. The reason for their inaccuracy is that the algorithm does not take account that different types of neighborhoods in close location to one another does not mean their prices are comparable. For example if there is a neighboor where the average price is $180,000 dollars and about a half mile away a near by subdivision has houses priced at $300,000 average, Zillow will average down the price of the $300,000 dollar subdivision and average up the price of the $180,000 subdivision. Yes this may be an oversimplification of the way the algorithm works but you get the general idea of where the accuracy comes from. Of course if you are in the $180,000 subdivision you may be happy with your home price being averaged up, at first. I say at first since it might look good in your mind, but on paper when it comes time to sell the buyers will dictate what price your home sells for. Quite frankly buyers are not going to pay more for a home than what it is truly worth. Just because Zillow's Zestimate says your home is worth more than the $180,000 average of your neighborhood does not mean a buyer will pay more to move into that neighborhood. So your house will sit on the market unloved by buyers due to being priced higher than it should be for your local neighborhood. On the other side of the Zestimate the city the $300,000 dollar houses would be averaged downward and yes if priced below the price for its neighborhood it would sell quicker. But I am sure that you as a seller don't want to give away money if you don't have to especially when it comes to something as valuable as your home. Additionally Zestimates can't look inside the house other than what is reported publically. So yes the Zestimate can take into account the number of bedrooms, square footage, how many fireplaces etc. But Zillow does not know if a particular house has granite counter tops and new hardwood flooring versus worn out laminate countertops and dirty vinyl flooring. The interior features of the house do matter and good quality features do factor into the price of a home. A local Realtor or Appraiser looking at your house has a better chance of determing a proper price than some computer algorithm. Dan Miller of MadCityDreamHomes.com put together an excellent article entitled "Are Zestimates and Assessed Values Accurate?". According to the houses he looked at in his Multiple Listing Service (MLS) only 10 out of 28 houses were within 5% of the selling price. Quite telling is that the biggest discrepancy Dan found comparing Zestimates with final selling price was a Zestimate underpricing a home by $258,000 and overpricing a home by $106,000. While those are the extremes it still shows you that Zestimates are not to be relied upon for determining your price. Some additional sites to read include "Zillows Home Value Estimates (“Zestimates”), Accurate or Not?" by Kyle Hiscock and Zillow's own website discussing the accuracy of the Zestimate. Many of us may have seen the oddly placed house that has the $100,000 dollar landscaping work in a $200,000 dollar neighborhood. That house may look great and win awards for great landscaping but the selling price of the house will not likely exceed what is appropriate for the neighborhood. Simply put if you over invested in your house you will not be able to get back much return on that investment since the neighborhood and the location dictate price more than your out of pocket investment. People shopping for houses in the $200,000 neighborhood are looking for $200,000 houses and people looking for $300,000 houses are looking in the $300,000 neighborhood since other houses in that neighborhood support that value. Buyers rarely want to buy homes that are overpriced for the neighborhood since the return on that investment will happen over a very very long time frame. So if you want your home to have the greatest exposure to buyers then you will need to price your home based on what similar homes in your areas are going for. The question to ask yourself is do similar homes in your neighborhood have the upgrades you are pricing in? If not then it is best to not consider those as something of great value for your neighborhood. Sure it gives you a slight competitive advantage compared to other houses but that comptetitive advantage is lost when you raise your selling price as a result. For another post on avoiding over improvement see Tina Israelson's article entitled "Why You Should Avoid Over-Improving Your Home". Check past sales results for similar houses in similar locations as yours. Yes you will need to dig deep to do that comparison. Some ways to do that deep digging is to look at sites like local county records of previous home sales, Zillow or ask a local Realtor to get the information about recently pending or sold local homes. What are things you should look for? Does the bedroom and bathroom count match your house? Is the square footage and yard size similar? If yes then you are close to an ideal house to compare to yours. Next look at the pictures of the house to get an idea of how the rooms look. If the majors rooms in the house have upgrades that are better than your house then you may want to adjust your price a little lower than that home to position it competitively. As you can see pricing a home is not an easy task with an easy to use handbook. Accurate pricing takes time and knowledge to get it right. Get the pricing wrong and your house will sit unloved. Get the pricing right though and your home will have plenty of buyer traffic and good offers to help get you moving onto the next stage of your life.